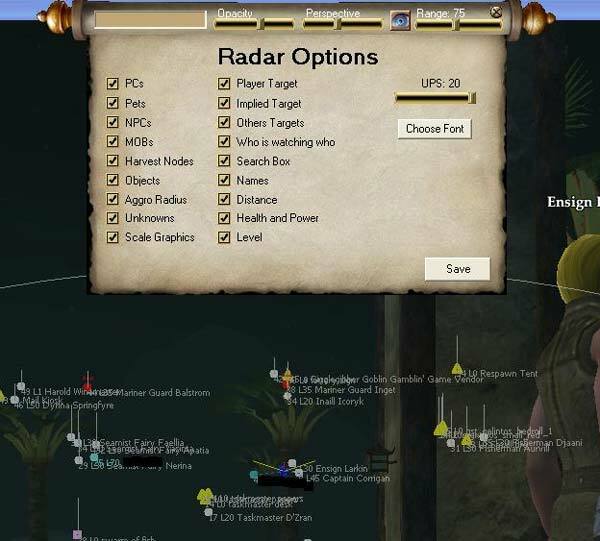 EQ2Extreme Radar Doesnt Everything you could want. Its the all in one scripting program. A simple way to see everything it can do is just look at the picture below. It does all that and more. Enjoy!! Please use the link above for feature requests, bug reports, and problem discussions. 1. Click the scroll to access the Options dropdown. 7. Run EQ2ExtremeRadar.exe, and enjoy. !